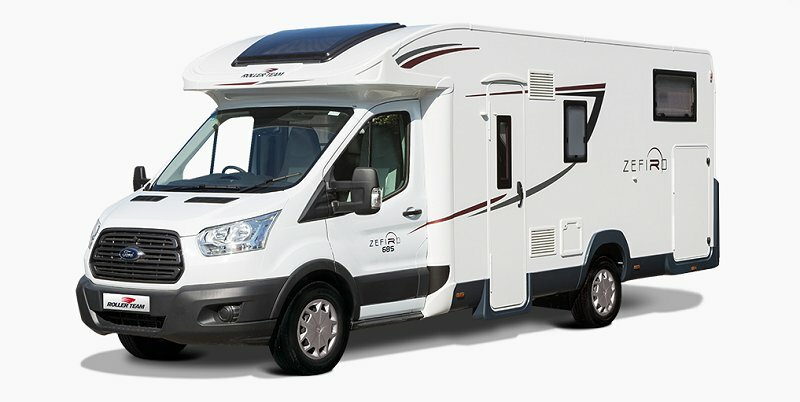 An ideal motorhome for those who enjoy entertaining guests, the Zefiro 685 features five beds. 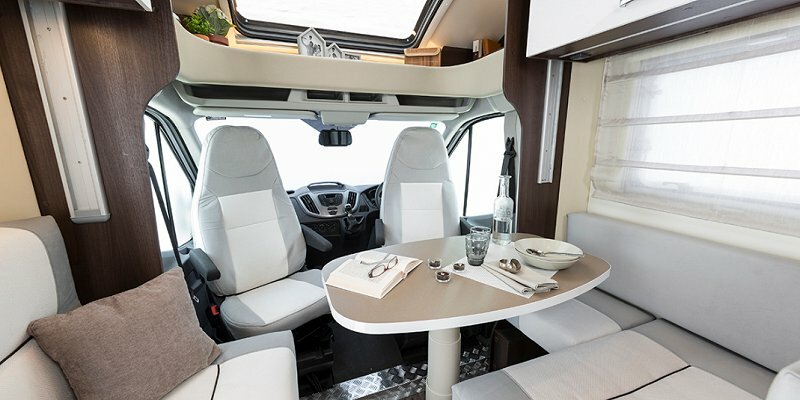 Much like a hi-line motorhome, you can still benefit from an extra bed with this low profile Zefiro, with a double drop down bed above the lounge, easily storable during the day. 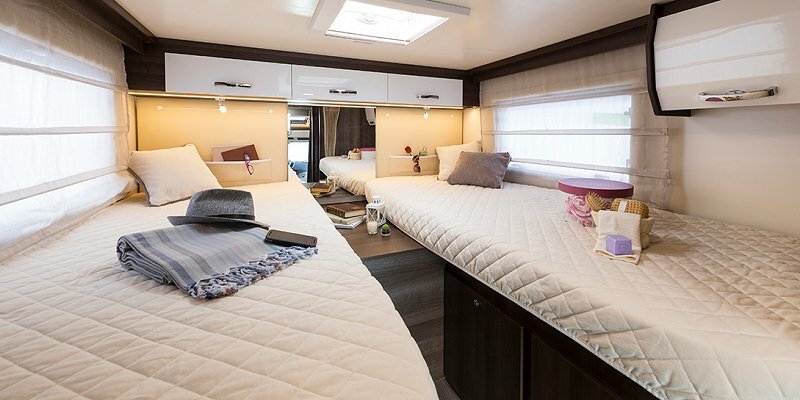 A large garage is accessible from both the inside and outside, with storage space beneath the single beds being accessible from external ‘G’ doors.